Here at Andrews Automation Ltd, we have become one of the UK’s leading manufacturers and providers of high quality materials handling solutions. 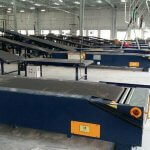 Our flagship products, which we have become synonymous with in recent years, are our Pallet Handling Conveyor systems. In terms of system design, we have an open book, a blank page. We have a broad product portfolio but no set or standard systems so ‘the sky is the limit’. Unlike many of our competitors, we believe in designing the best solution to suit the client’s needs and requirements which is why we start from a basic design concept and adapt the system to suit. 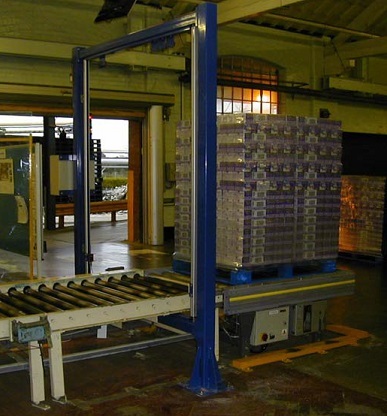 Whether the client needs a system to fit in a small, tight space; or if there’s an abundant, unlimited amount of space, here at Andrews Automation Ltd we can design a functional and efficient system to fit. We start off with a standard powered or non-powered design and work from there. 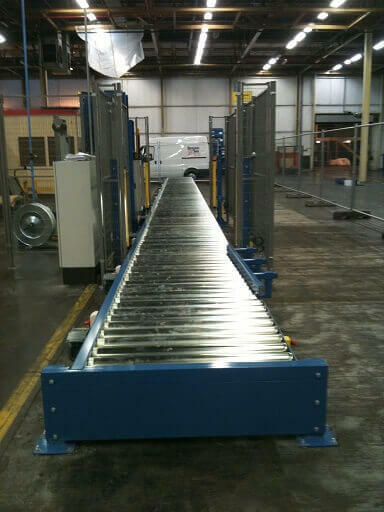 Our pallet conveyors are available at bespoke widths, lengths and height. 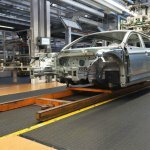 We can change the direction of travel with integrated turntables or cross-transfer chain conveyors, and well as make our systems bi-directional. 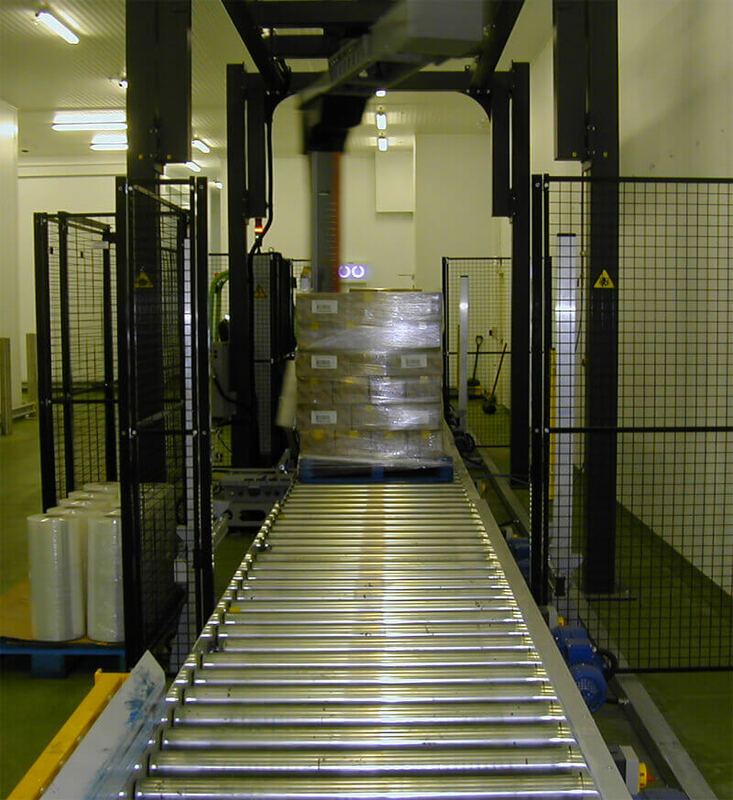 We can transport pallets to different floor levels with the use of powered-top scissor lifts, as well as provide pallet profile checker systems to confirm the integrity of pallets stacks. 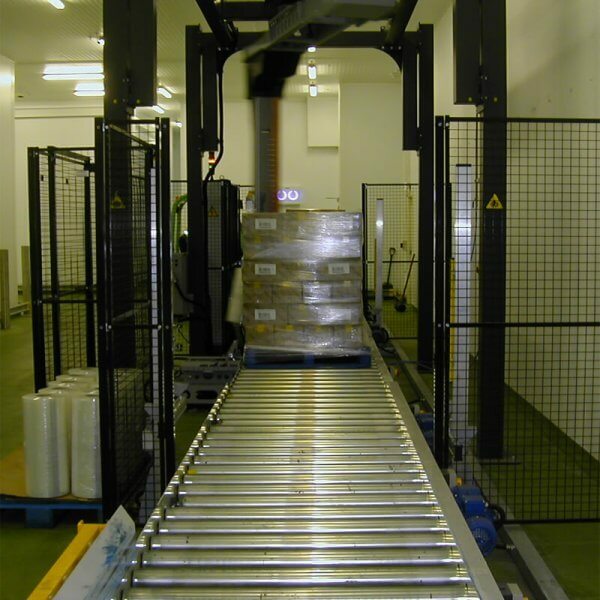 In addition to integrating pallet checkers, scissor lifts and turntables into our systems, we can also integrate pallet strapping and pallet wrapping solutions into our solutions. By integrating these value added products into our systems, our aim is to provide the most efficient, cost effective and simple solutions to many of the process issues our clients face on a day to day basis. When finalising ideas for our solutions, our designers ensure that they conform to the latest safety legislation and where applicable, we design and supply all elements of safety control integration. 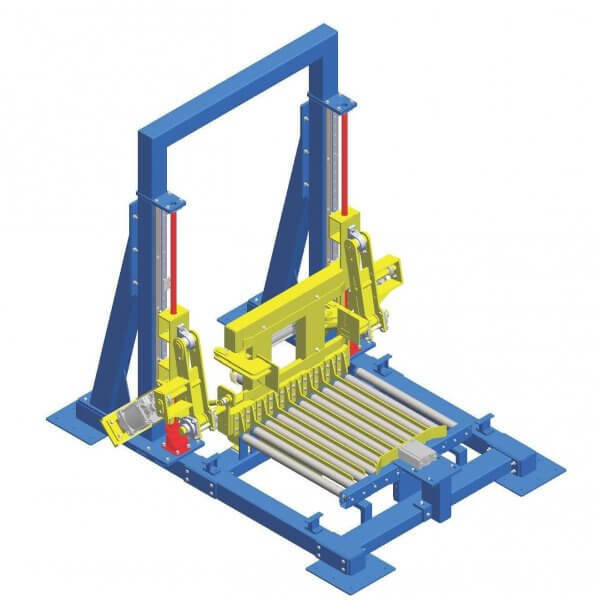 As part of our design we incorporate loading stations with integrated ‘crash barriers’ and load guides, perimeter guarding and interlocks, light guards, sensors, e-stops, etc. and build these into the PLC design. Our systems are designed in-house, mechanically built in-house, electrically built in-house, system tested in-house, and installed by our experienced installation team and engineers. 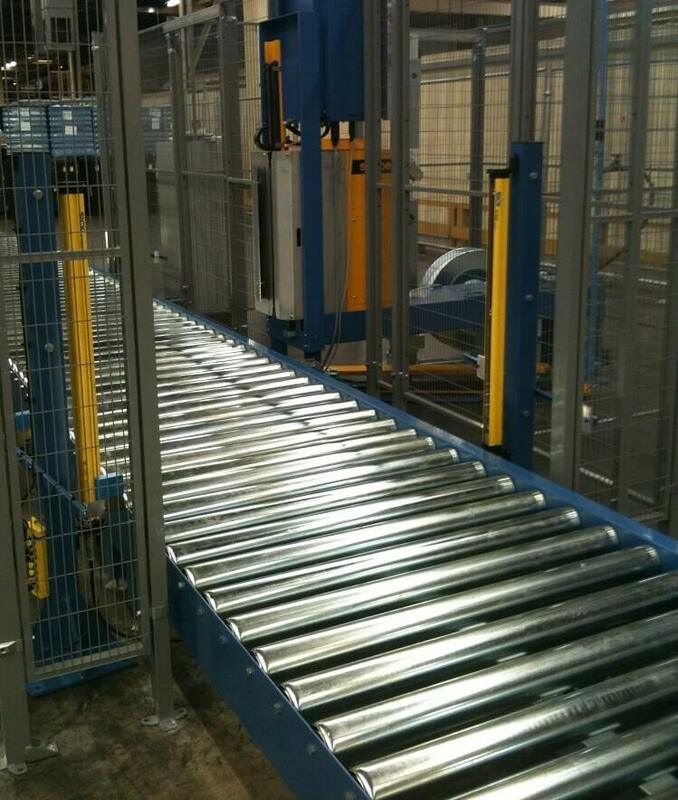 From start to finish there is only ever one point of contact…Andrews Automation Ltd. Call today on 01405 768900 to discuss how we can make your throughput process more efficient, or email sales@andrewsautomation.com to arrange a no obligation site visit.